"Good Morning Angels..." was the smooth voice of talented, funny, and handsome John Forsythe as Charlie, in the TV and film versions of Charlie's Angels. Known as a quintessential gentleman Dynasty star John Forsythe played patriarch Blake Carrington from 1981-89, the fashion influencing primetime soap that had millions of devoted women following worldwide. Forsythe was a founding member of the Actors Studio who received three Emmy nominations for Dynasty. He was also the naive Army Officer in the hugely successful Pulitzer Prize winning play Teahouse of the August Moon. John Forsythe appeared in the Alfred Hitchcock movies The Trouble With Harry (1955) and Topaz(1969) as well as Scrooged (1988), among many others. 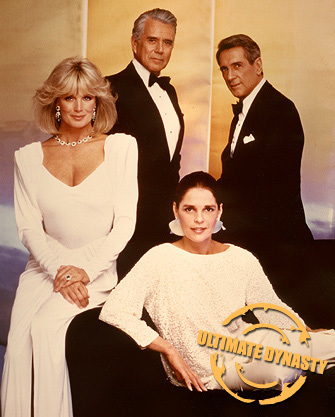 The hit series Dynasty was created by master producer Aaron Spelling, another renowned client of our Agency (see Aaron Spelling in ISA gallery).